Part one of this kitchen blog series discussed the evolution of the kitchen and how it went from being a segregated service room to the natural gathering place for family and friends. 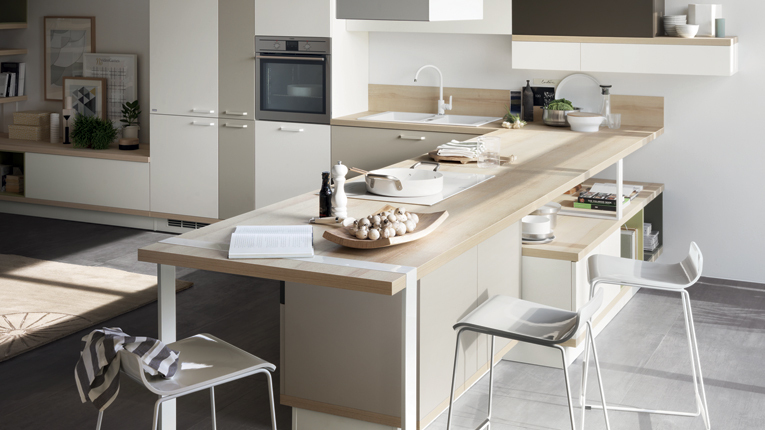 This follow up post will highlight how those events affected kitchen design and layout. The dominant geometric shapes in most kitchens are the four-sided variety, from rectangular cabinetry to square appliances. But it is a different shape (albeit an imaginary one) that has always been an important element to a kitchen’s design and functionality. Yes we are talking about the much-venerated kitchen work triangle. 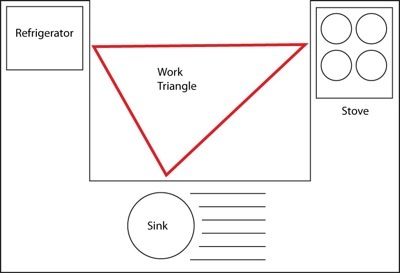 This “work triangle” states the refrigerator, range and sink are placed 4 to 9 feet apart, forming a roughly equilateral triangle. This design principle was developed in the 1940s and efficiency was the triangle’s main goal as it kept all the major appliances near without causing the kitchen to feel cramped and minimize traffic within the kitchen to avoid interruption for the cook. The ideology and intentions behind the work triangle were certainly treasured but things have changed. This was useful when kitchens were smaller, closed-off and typically only one person was preparing and cleaning up after meals. Yes, the work triangle is a still and will continue to be a convenient guideline but due to the range of kitchen layouts from single-wall galleys to large open plan, we prefer to design kitchens according to work zones. 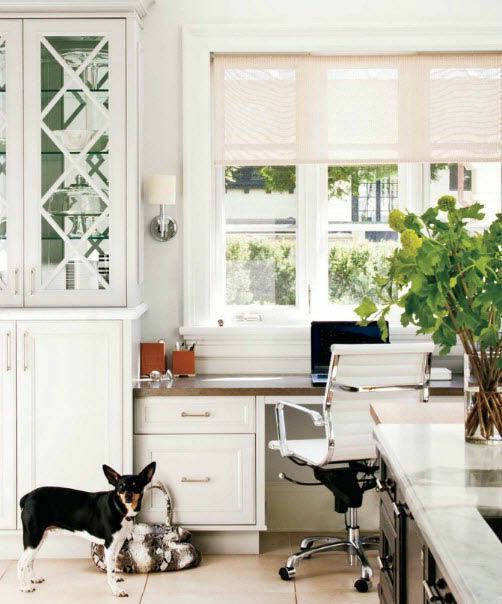 As kitchens grew in size and spread into other rooms in the house, it became more of a challenge to place appliances in a neat triangular layout and the concept of work zones was the natural progression from the work triangle. By sectioning off the kitchen into work zones, efficiency is maximized in a larger space and the increase in cooks and guests in the area are accommodated better! 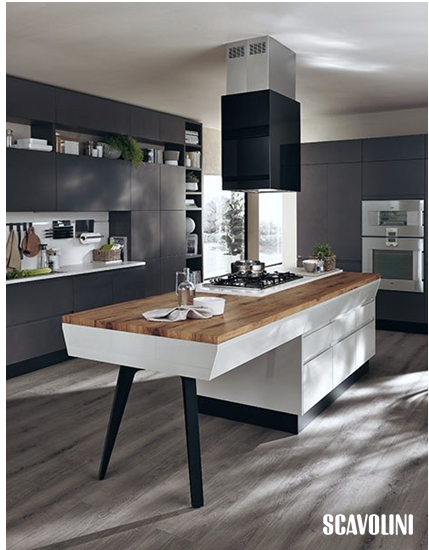 effort to create a functional kitchen, it would be appropriate to group appliances and fixtures according to use. This is also where you can benefit from the idea of work zones in your kitchen because each zone contains the tasks your perform regularly such as storing food, prep, baking, cooking, serving, eating, cleaning and even luxury add-ons like chilling wine and spirits. 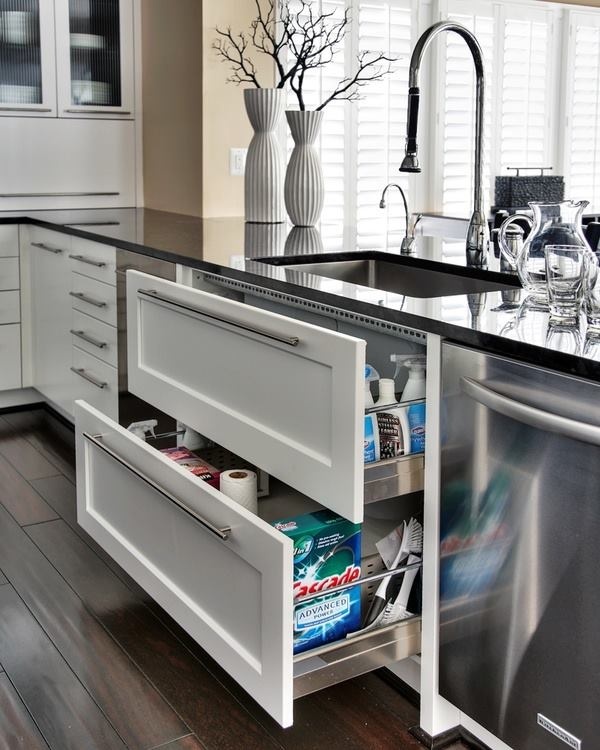 For example, it’s practical to place your dishwasher next to your sink with a garbage bin nearby to streamline kitchen cleanup. For safety and efficiency, it’s highly recommended to provide countertop landing areas next to major appliances especially the range, cooktop, microwave and oven because no one wants to trek halfway across the kitchen to put down a hot dish. We have established that the kitchen is the heart of most homes but the layout will vary based on your lifestyle. Do you entertain often? Do you have kids? If you answered yes to any of those questions, here are our suggestions. 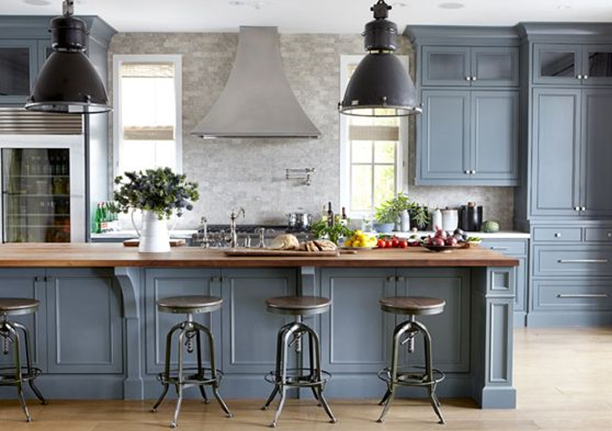 The art of entertaining has also shifted due to the evolution of the kitchen – guests who once sat snacking and chatting away on the couch are now convening in the kitchen and helping hosts prepare meals. If you enjoy social events at your home, you are familiar with how important it is to have an area where guests can hang out while you prepare food and drinks so you don’t miss out on the fun. A large island or peninsula is perfect for this because it can act as a barrier that keeps visitors from getting in your way while also giving them a place to perch while you work. Plus islands provide the stage for gorgeous pendant lighting! If you have kids and space permits, create a kids’ zone for the little ones. Set up an area in the kitchen where the kids can hang out, do their homework and eat snacks. This will allow you to all be in the kitchen together without them getting underfoot. Multi-tasking is no longer an option for parents; it’s life and by creating a special area, you are able to facilitate two important duties on a day – feeding and quality time! And there you have it, a little history on kitchens and its design from our two blog post series. After being in the industry for over 12 years, this is just the tip of our knowledge. 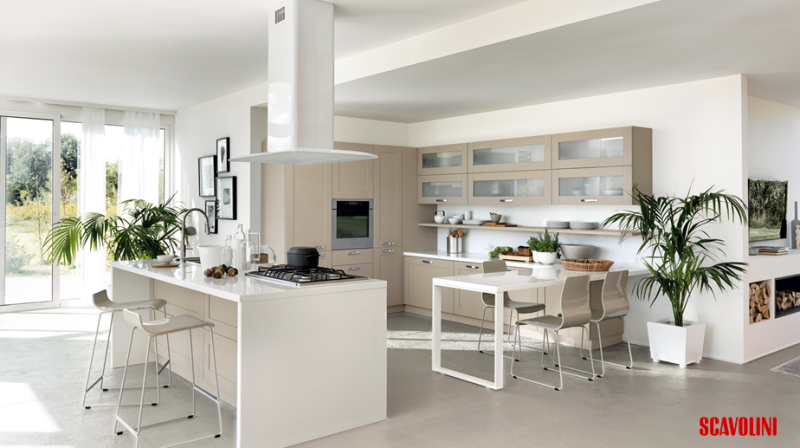 So if you are thinking about a new kitchen, let us and Scavolini help you!